Around 10 million people in the UK cannot obtain a loan at a reasonable rate, because of a poor credit history or credit score. Tameside Council and New Charter Housing have joined together to invest in My Home Finance so that all residents and tenants have access to affordable loans, which won’t trap people in a spiral of debt and poverty. Nearly a fifth of people expect to repay in excess of £780 on a £300 loan over 52 weeks. My Home Finance thinks that this not acceptable. My Home Finance ensure that each person who takes out a loan can afford to repay it, and they know exactly how much the credit will cost. 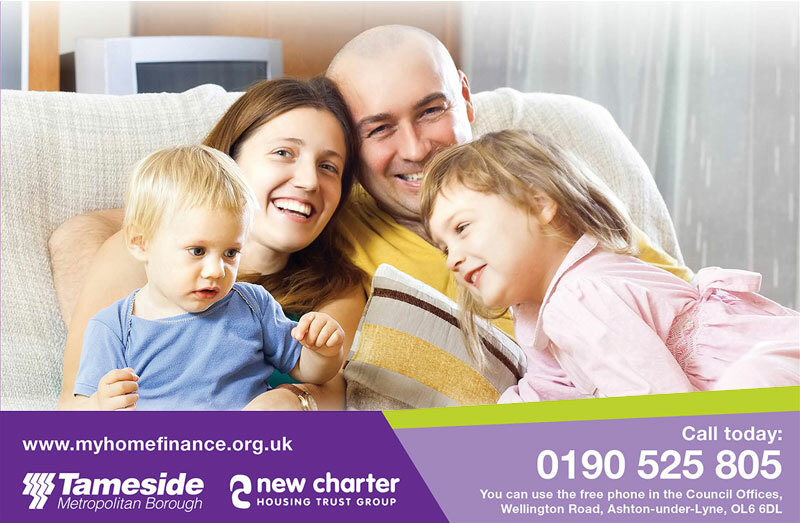 Tameside Council, New Charter Housing and My Home Finance believe that everyone should have access to affordable ethical loans and financial education. This will allow people to make the right decision when taking out a loan, and not head towards a cycle of debt and poverty. If you are thinking of taking out a short term loan, speak to My Home Finance to ensure that you are not starting a debt that you cannot afford to repay.